A lot of writers say they’ve dreamed their entire lives of becoming a professional writer. They always knew writing was what they were meant to do. This was not the case for me. I didn’t write creatively as a child, and I didn’t really enjoy reading that much either. For most of my life, I had no idea what I wanted to do. Actually, I did have some ideas about what I wanted to be when I grew up. The problem was that it would change week to week. I saw Raiders of the Lost Ark, and I wanted to become an archeologist and explorer like Indiana Jones. I saw Jurassic Park and wanted to be a paleontologist. Jaws… marine biologist. Apollo 13… astronaut. Independence Day… Air Force fighter pilot. Men in Black… FBI agent. Goldeneye… CIA spy. The Matrix… computer hacker. And so on… My dream job would constantly change based on my current favorite movie at the time. I never really got into superheroes and comic books because I knew I could never become Superman, Batman, or Spiderman. But characters from real world-based movies seemed like actual possibilities for my own life. Towards the end of high school, I started applying to colleges and had to start thinking about majors and careers. There were so many things I was interested in, but I didn’t know which route to choose. Then it struck me. It wasn’t the specific jobs in the movies that I loved, it was the movies themselves that I loved. I got interested in the process of filmmaking and knew that I wanted to be involved somehow. At first I thought about getting into special effects and becoming a computer graphics expert. I enrolled as a computer science major in college, which lasted all of one semester before I realized CGI wasn’t for me. I was still interested in movies, but my college didn’t have a film major, so I remained undecided for a few semesters. For some reason, I thought economics would be a good major for me because… Well, who doesn’t like money? After a couple semesters, I relearned what I already knew from my semester in computer science— that I hated math. By that point, I was in the middle of my junior year, and the only major I could switch to and still graduate on time was history. So I became a history major. There was no math, and there weren’t even any tests. All we had to do was write papers. This is where I really started honing my craft as a writer, but I wouldn’t say I enjoyed it. Writing was just a means to an end— and much better than multiple choice tests. Meanwhile, I minored in communication and took every film class that the department offered. I took the film production class, where we got to make our own short films, and I decided I wanted to become a director. My only problem was I couldn’t really practice directing. I didn’t have any friends to act in my films. And if I did, I didn’t have any scripts to film in the first place. Then, the next semester I took screenwriting. I didn’t really want to take the class. 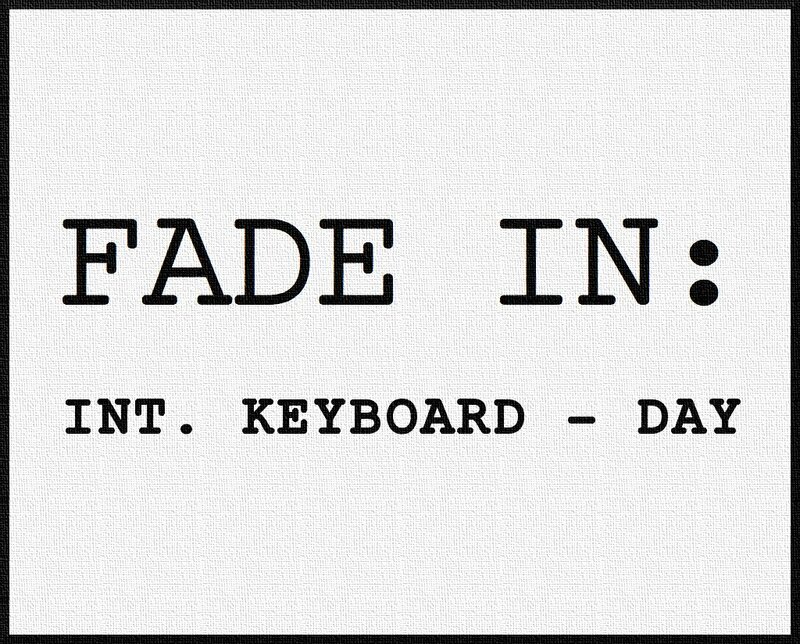 Screenwriting was a part of the filmmaking process that I was never really interested in, even though I didn’t actually know what screenwriters did. I thought they just wrote the dialogue, which actors would later change anyway. I thought directors were responsible for creating all the action. It wasn’t until I took the screenwriting class that I discovered screenwriters write everything that appears on screen in movies. I discovered screenwriters didn’t just adapt books or transcribe directors’ visions. They often times came up with their own stories— From their own imaginations. I never liked writing essays in school, but I enjoyed creative writing. The only problem was my teachers never assigned creative writing projects for us, so I never pursued it. My screenwriting class in the last semester of my senior year of college was the first time in my life I really started creating stories in my head and writing them down… And I loved it. I always had a vivid imagination as a child. I’d daydream and create stories in my head, but never with any goal or direction. Once I learned the basic structure of storytelling in my screenwriting class, I was able to apply it to my imagination and craft actual stories that made sense. Soon, I couldn’t stop thinking of story ideas and wanting to write them down. I graduated college with just two short film scripts written but hundreds of ideas in my head. I finally knew what I wanted to do with my life. As a screenwriter, I could be anything and everything I wanted to be when I was a child, simply by writing a movie about the subject. Pingback: My Biggest Secret | Tim Barry Jr.